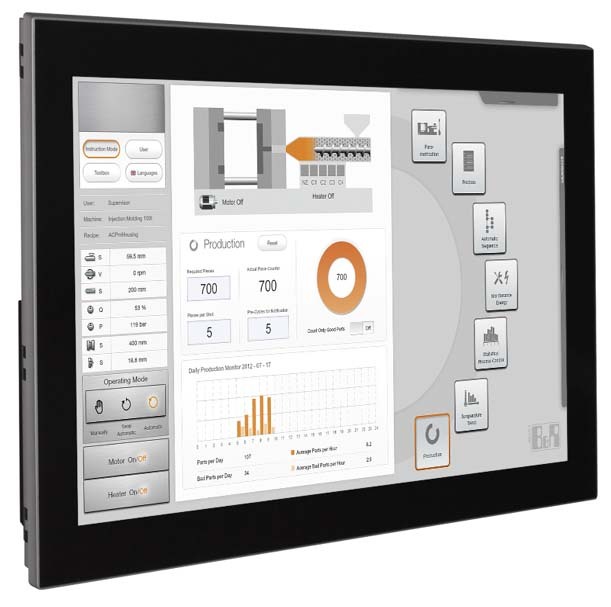 Industrial HMI Equips with high performance NXP i.MX6 Application Processor. The options available with this product make it perfect for Industrial Monitoring & Control, Building Automation, Home Automation, HMI, Vending Machine and interactive IoT Applications. Emsol Smart HMI (Human Machine Interface) offers a great solution for organizations focused on cost-driven and OEM-related projects. Our Smart HMI Control card gives great flexibility to users when they are making their final product. The Smart HMI Display Panel based on 696MHz NXP i.MX 6ULL, ARM Cortex A7 Processor. It is a Linux-ready device with ported QT, can be used in various applications including POS, Intelligent access control and more others. The panel provides a well-designed hardware with various peripherals and rich software resources to help users accelerate their time to the market. The Power over Ethernet (POE) interface and Audio in/out ports, interfaces including RS232, RS485, Ethernet, USB Host/Device, TF card slot and etc to further enhance the functionality of the panel, thus making a complete solution for HMI applications. The Smart HMI Having the Optional WiFi/Bluetooth and a Mini-PCIe interface for USB based 4G LTE module. Note: The Smart HMI having optional POE (Power Over Ethernet),4G,NB-IOT, Wi-Fi/BLE & CAN. Our Smart HMI designs have been used to create bidirectional data transfer between end devices and Cloud platforms like Amazon AWS, Google AppEngine, Microsoft Azure, IBM BlueMix or proprietary PHP/MongoDB based custom servers, you benefit from the rapid development of graphical programming for your entire solution. We also have worked with higher protocols like HTTP,MQTT,FTP,etc.The configuration of the device is carried out via Web pages and it is possible to remotely update the firmware.The Web server support allows access via browser to the server application from both fixed (desktop) and mobile (smartphone or tablet) devices.